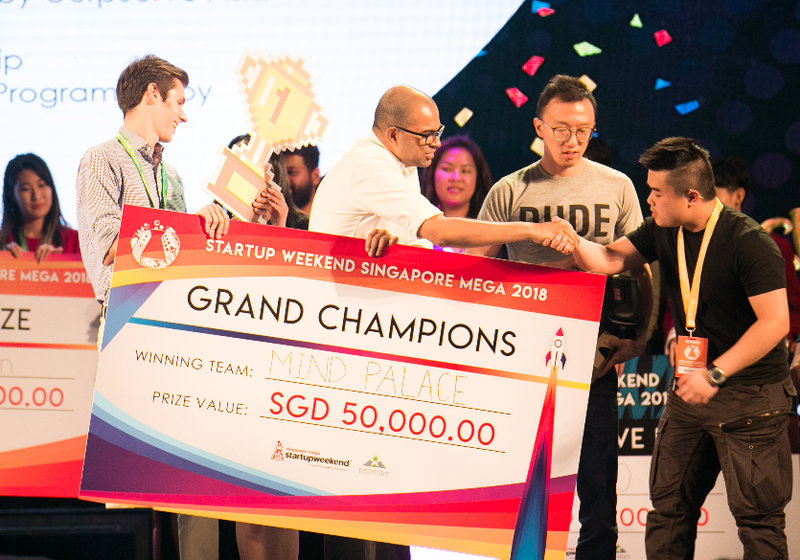 TL:DR: A virtual reality ‘mind palace’ to help dementia patients and an app that translates sign language into text—these were just two of many great ideas pitched at Startup Weekend Singapore Mega 2018. Teams that leveraged technology for social good won big at the hackathon. TechNews spoke to the winning teams about the solutions they brought to the table. Change the world in 54 hours—if it sounds like mission impossible, that didn’t stop budding entrepreneurs from participating in Startup Weekend Singapore (SWSG) Mega 2018. 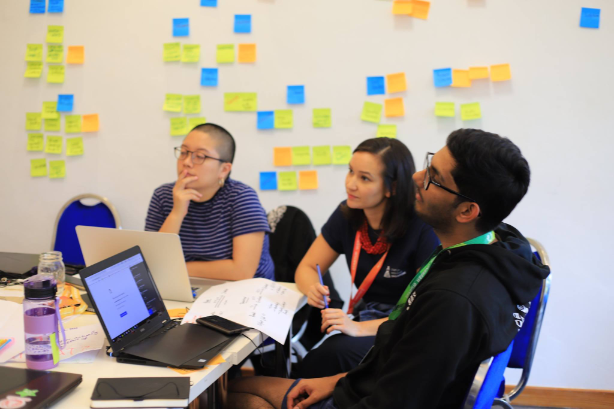 Organised by the SWSG team and the Government Technology Agency of Singapore (GovTech), the hackathon saw more than 280 individuals form teams to engage in a weekend of ideation, workshops and mentorship sessions. 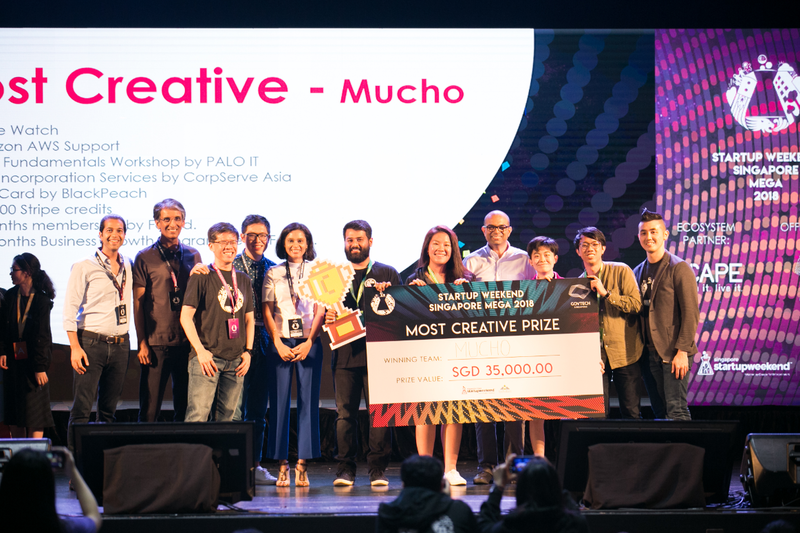 After gruelling rounds of pitching to a judging panel that included Mr Quek Siu Rui, co-founder and CEO of Carousell and Mr Chng Kai Fong, managing director of the Singapore Economic Development Board, five teams whose ideas revolved around using technology for social good emerged as winners. Clinching the grand prize was Mind Palace, a team of entrepreneurs who aspire to use virtual reality to help those with dementia. “When dementia patients want to go home, they are often thinking of returning to a place in the past that may not exist anymore, and they get angry or frustrated when they cannot do so. Hence, we want to ‘bring them home’ in virtual reality to reduce their distress,” Mr Eugene Soh—better known as DUDE—explained. As the tech guru of team Mind Palace, he produced a prototype virtual reality space complete with interactive photos in just six hours. Clearly, the team believes that just because dementia patients may be confused and forgetful, this doesn’t mean that they should be forgotten. Another community not to be forgotten is the hearing impaired. Only a fraction of society can communicate with the deaf, and first runner-up team Outspoken wants to change that. “We developed a sign language translator that takes a live video of a person performing sign language and outputs English captions and speech,” said Mr Jerry Tan, a software engineer from team Outspoken. The team envisions that their solution can be installed in mobile devices or deployed in public hospitals and at events. Meanwhile, the winners of the third prize—Tong for Change—sought to serve a different community: the underprivileged in society. Seeking to encourage generosity, the team developed a mobile app that would round up the value of a user’s online transactions to the nearest dollar, then donate that difference to a user-selected charity. “Our app solves donor fatigue and encourages new donors to give to society in a seamless manner,” said team member Mr Nicholas Ooi, co-founder of bantu, a local social enterprise. In addition to the three main awards, prizes for impact and creativity were also given out. The impact prize went to a team of educators and software engineers—Hear to Learn. Finally, team Mucho was rewarded for its creativity in conceptualising a mobile app aimed at reducing food waste in restaurants. “We want to use machine learning to predict how much surplus food a restaurant generates. Restaurant owners can then make better-informed decisions about how much food to produce or purchase without generating too much food waste,” said philosophy undergraduate Mr Anthony Tan of team Mucho. With incubation support from Temasek and GovTech, these ideas may very well take flight and create a more tech-enabled, inclusive and sustainable society.